Who Will Be In Zack Snyder's Justice League Of America Movie? Zack Snyder's Justice League of America movie is finally officially happening, giving Warner Bros. a major tentpole franchise and placing DC Comics on the cinematic universe map. Unlike Marvel, who launched five standalone films before The Avengers, it looks like all the heroes of DC Comics are going to be thrown in a blender, with only Superman and Batman being already familiar to movie audiences (let's not talk about 2011's Green Lantern...). That's a major gamble for the studio, so the next few months will be spent very carefully selecting the roster for this superteam. The worst possible scenario is that these characters are too familiar, too generic, and ultimately bleed into each other. DC's got a long bench, but there's a massive fall-off from Superman, Batman and Wonder Woman to the next tier of heroes. So what's the roster going to look like? We're glad you asked. Meet your likely cinematic Justice League of America, according to our educated guesses and blind hearsay! Hey, You Look Familiar: Man Of Steel is the launching point of the onscreen DC Universe, though Superman has starred in five other films that have helped build the character's considerable fanbase over the years. You Remind Me Of: With his super strength, invincibility and completely reckless disregard for human society (this version at least), Superman is a whole lot like that Thor dude who popped up in three separate Marvel movies within the span of three years. 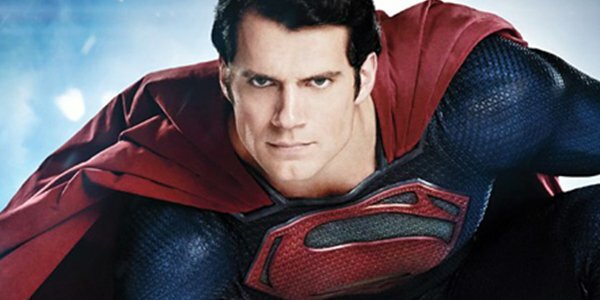 Team Function: Henry Cavill's Superman didn't seem like the team-building type at the end of Man Of Steel, but perhaps his encounters with Batman during Zack Snyder's Batman vs. Superman will change his mind. There's a very good chance Superman is the catalyst that brings every character together, and the voice the group really listens to. He's got what you might call leadership material. Hey, You Look Familiar: Ben Affleck is making his maiden voyage as the Caped Crusader in Batman vs. Superman, but the character has been a sensation for decades, starting with the Adam West television in the 1960s to Christopher Nolan's Dark Knight trilogy (the last two films in that franchise collecting a billion dollars each). Not counting serials, this will be the character's eleventh time on the big screen. 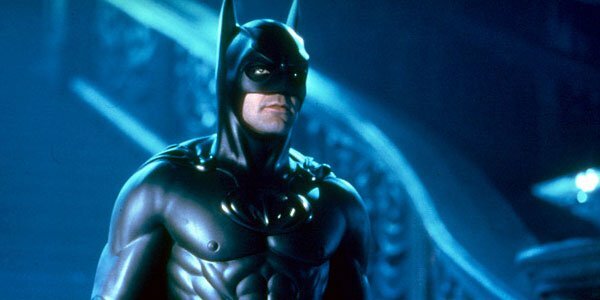 You Remind Me Of: Batman's probably going to me the moral compass of the group, and as the odd man out in a group of gods and monsters, he's more akin to Captain America than anything else. Team Function: Just like in the comics and various television shows, Batman will likely be more than a little paranoid about his fellow Justice Leaguers, and mostly keep to himself. Rumors regarding Batman vs. Superman peg the new vision for the character as a true loner, one who sends Bat-drones across Gotham and aligns himself against the Man of Steel. Hey, You Look Familiar: DC's flagship female character previously showed up in a hit television series in the 1970's. Since then, she's only resurfaced in animated form. 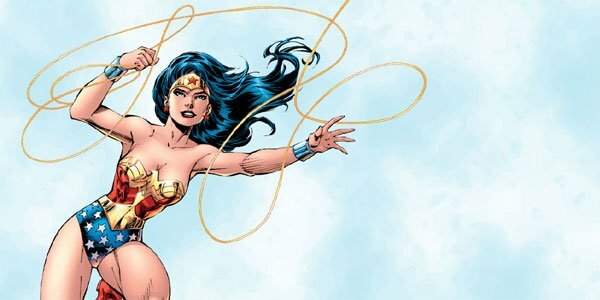 Team Function: Rumors have pegged this Wonder Woman -- to be played by Gal Gadot -- as something of an Amazonian spy seeking valuable WayneTech, though those details have yet to be substantiated in any way. Like the aforementioned two, she'll be surfacing in Batman vs. Superman, and her role is possibly going to have her in opposition of the titular duo. I imagine they'll have to coax her to their side, though it's likely she'll remain the real alien of the group, distrusting their male authority. 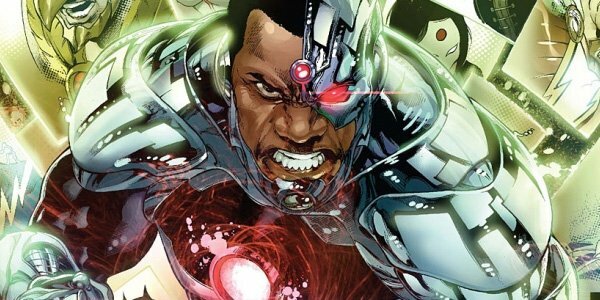 Hey, You Look Familiar: Here's a newbie: Cyborg is a long-time member of the Teen Titans, and only accepted membership into the Justice League in the 00's. The recent New 52 run of the comics has changed the origin story to allow Cyborg to join up with the team at an earlier time, but fans debate over whether this is canon. He's also surfaced, frequently, in animated form, and once on the Smallville TV series. You Remind Me Of: Rebuilt villain/hero Deathlok from Agents Of S.H.I.E.L.D., who also has cybernetic appendages, is a fairly apt comparison, but Iron Man is probably what DC Comics is going for. Team Function: As was recently announced, Cyborg will be featured in Batman vs. Superman in a small role played by Ray Fisher. I imagine he will find himself as the tech genius of the group, having some serious connections at S.T.A.R. (Scientific And Technical Advanced Research) Labs. Hey, You Look Familiar: The Scarlet Speedster got his own live action series back in 1990 called simply The Flash. He's also been a very active character in DC's animated movies and shows, and is set to receive his own upcoming series on the CW. 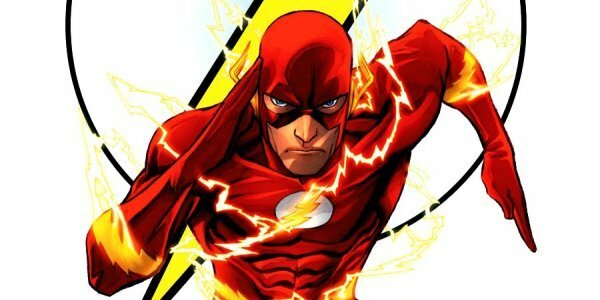 Could the films opt for using Grant Gustin, who will play the Flash in next fall's new series? You Remind Me Of: If we’re talking about super speed then the easiest comparison is to Quicksilver – who we are about to see two different versions of on the big screen (in X-Men: Days Of Future Past and Avengers: Age Of Ultron). Team Function: The Flash is sort of a situational character, but you're certainly going to have him placed in a situation where he's gotta run! Having a television show at the same time suggests the studio has cooled on a standalone movie for him, which means Justice League would let him explore the full range of his speed force powers. 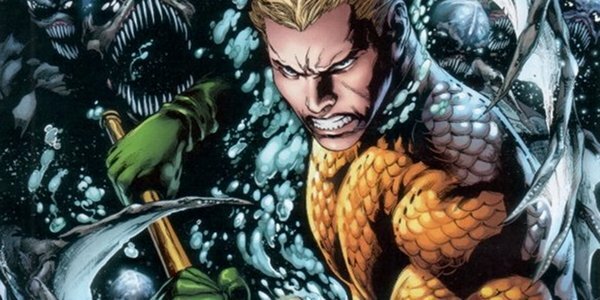 Hey, You Look Familiar: No one gives poor Aquaman any respect. The prince of the deep has been showing up in comics for over seventy years, but he is rarely depicted outside of animated form. He popped up in live action as a potential big budget blockbuster movie to be directed by James Cameron, but that was on Entourage and was really a joke at the character’s expense. The character has also showed up on Smallville but a spinoff series, Mercy Reef, never got past the pilot stage. You Remind Me Of: It’s lucky for DC that Universal Pictures and Marvel have never Namor the Sub-Mariner his own movie. Once again, there are echoes of Thor here as well, and the character's ability to speak to undersea creatures is reminiscent of Ant-Man, who will be getting his own movie next year. Team Function: Aquaman is a character that deserves a big screen debut that will put an end to the years of bad jokes about him. This is why even if the Matt Damon rumors are untrue, there's certainly someone at the WB who feels like Aquaman's super strength and invulnerability deserves a real showcase. Whatever struggles the Justice League faces, they'll need help from above and below, and when it comes to the latter Aquaman will be there to assist. Hey, You Look Familiar: Martian Manhunter is one of the founding members of the Justice League, his comic book origins dating back to 1953. Sadly, though, he's only really surfaced in animation. 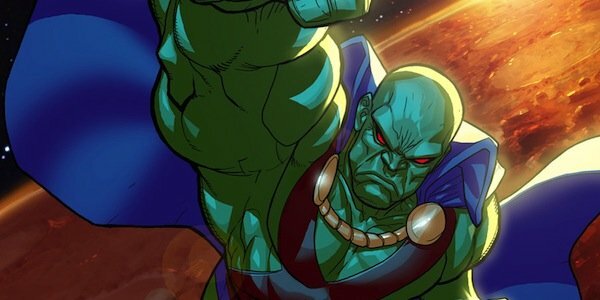 A highly-compromised version of J'onn J'onzz was featured in Smallville, and he was a part of the failed Justice League Of America television pilot from 1997 that only ever surfaced in bootleg form. He was also due to be one of the team members showing up in George Miller's aborted Justice League: Mortal in 2008. You Remind Me Of: The cold, analytical, mysterious hero is likely going to seem familiar to anyone who catches Paul Bettany's Vision in next year's Avengers: Age Of Ultron. Team Function: Probably in a smaller dose. There's a lot to illustrate regarding Martian Manhunter, who pretty much duplicates Superman's powers in addition to shape-shifting. He's certainly a character who could be pushed to the background, a helpful presence with mysterious motives and a peculiar physical appearance. Hey, You Look Familiar: Remember 2011, when there was a Green Lantern movie? Remember when it made $219 million worldwide, but we all pretty much laughed it off the screen? WB definitely does, and it will be interesting to see how they treat in going forward. Green Lantern is considered one of DC Comic's prized properties, and they've been forced to become gun shy about him showing up in live-action media. That said, different characters using the Green Lantern name have popped up all over the DC animated universe. Team Function: There was a ton of DC world-building done in the 2011 movie, and it will be interesting to see if DC decides to keep that as canon. 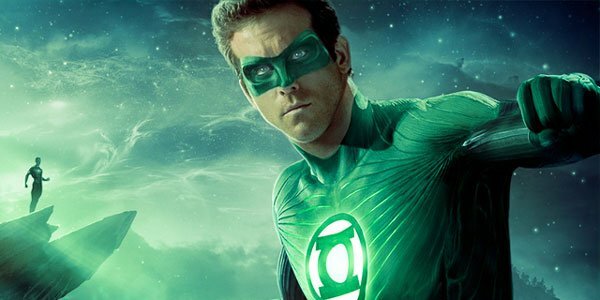 There could be the suggestion that Ryan Reynolds' Hal Jordan is out there somewhere, even if the films will likely follow John Stewart, the preferred Lantern for a generation that watched the animated series. 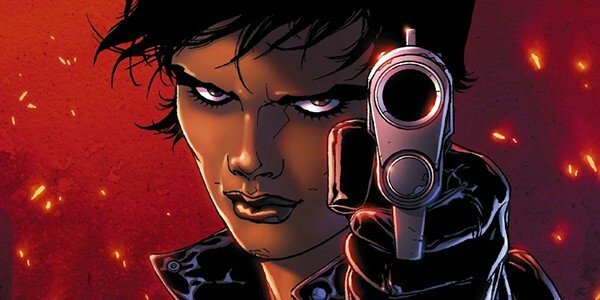 Hey, You Look Familiar: Amanda Waller made her big screen debut in 2011's Green Lantern played by Angela Bassett, but has also been featured in both various DC animation titles as well as episodes of both Smallville and Arrow. You Remind Me Of: The human non-hero secretly controlling everything from above certainly sounds a lot like Nick Fury. She's the head of A.R.G.U.S., a government liaison to the Justice League. Team Function: Waller's likely going to serve as connective tissue to these films in much the same way Fury did in Phase One of the Marvel Cinematic Universe. These films, post-Justice League, are going to require a grounded presence to unite these fantastical creations, and Waller just may be the character to do it, casting a jaundiced eye at society's dubious watchmen. Perhaps they can retain the services of the entirely overqualified Angela Bassett. Others: Hawkman and Hawkgirl could enter the picture, and we hold out hope that the version of Green Arrow from Arrow could leap to the big screen as well. If rumors are true and Nightwing makes an appearance in Batman vs. Superman, perhaps he too will get an invitation to the group someday.